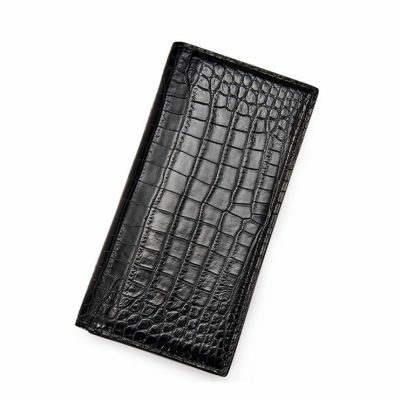 Crocodile wallet, alligator wallet for sale, all our genuine crocodile skin wallets and alligator skin wallets are free shipping worldwide. 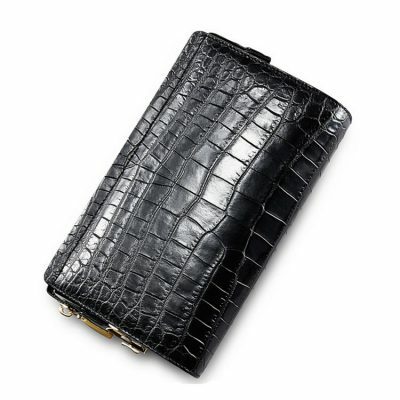 We only offer high-quality and high-end genuine crocodile leather wallets, alligator leather wallets to our customers. 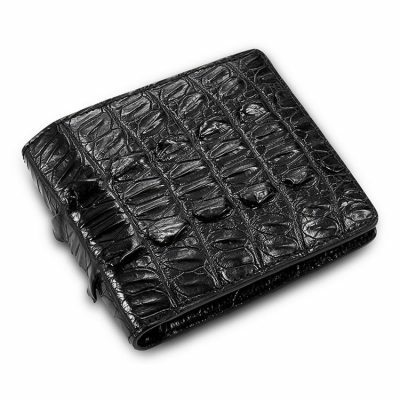 The main materials we use in all of our exotic leather wallets are the high-quality crocodile and alligator leather. 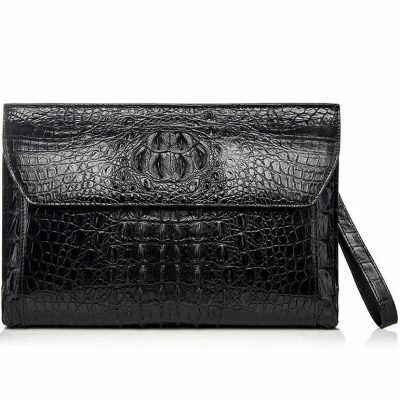 And like all our luxury leather goods, they are guaranteed for life. 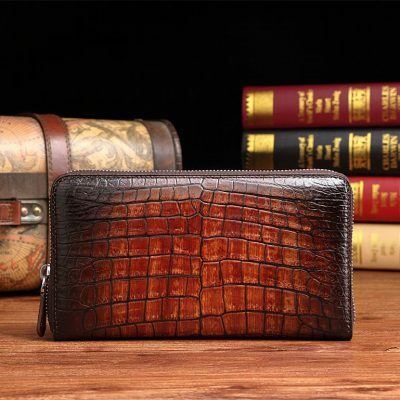 To ensure our crocodile wallets, alligator wallets with the best quality and best performance, we arranged some very experienced leather craftsmen in our production line. 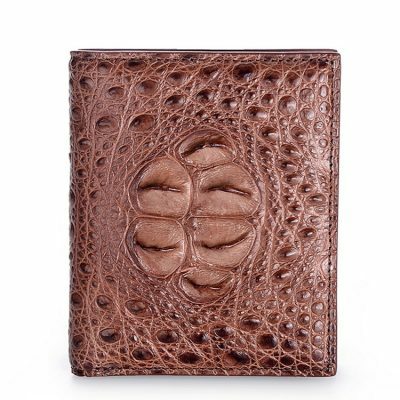 Hope that every exotic leather wallet can be a beautiful work of art, which can stand the test of time. 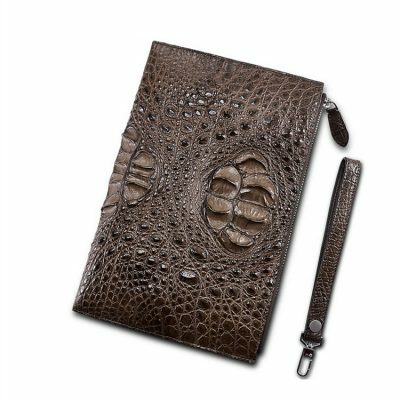 There is a huge difference between wants and needs and crocodile or alligator skin wallets are on the list of wants for both men and women. 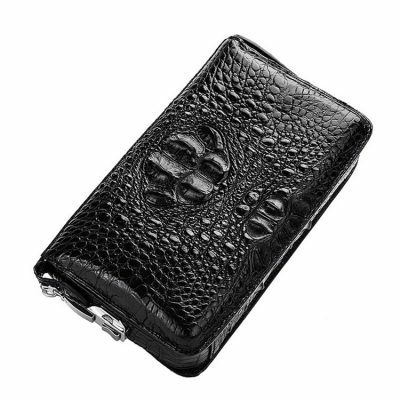 While you might not require a wallet such as this, you want to overpower it, and somehow you will find the need to get one. Crocodile skin wallets or alligator wallets are the most sought after and yearned for wallets by most men and women from all parts of the world. 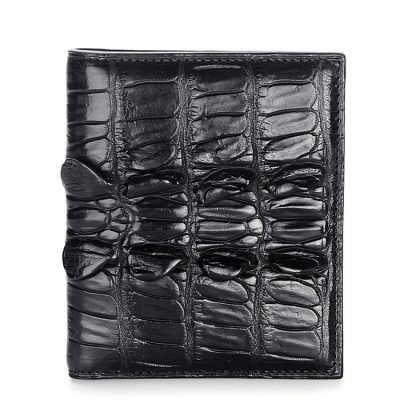 There’s something amazingly soft concerning crocodile or alligator skin wallet and oh that sweet odor of leather. 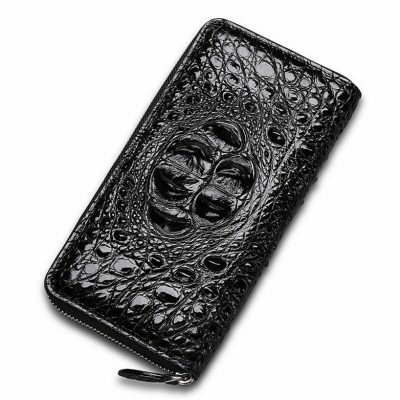 Crocodile skin is very expensive that makes it extremely exclusive as well as unique. 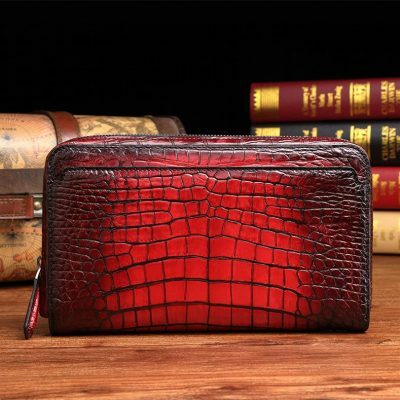 Ultra-wealthy customers wait for 2 to 3 years for their order with big fashion companies to be filled or pay a massive amount of money for used wallets from exclusive collections as some of these wallets are on hand and the cost is exceptionally high. 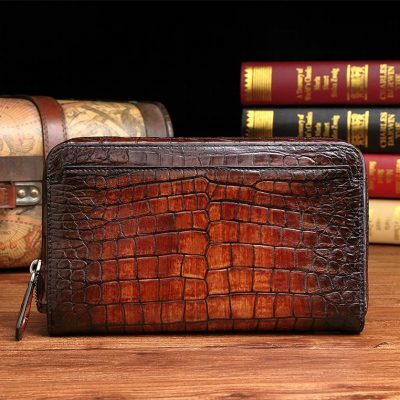 The wallet that is made of crocodile or alligator skin doesn’t change according to your size and shape. 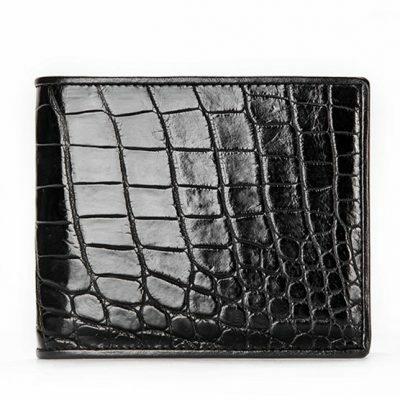 So, any types of wallet, whether small or big, this will surely go along with your style and taste. For a lot of people, it is all about the things as they are. 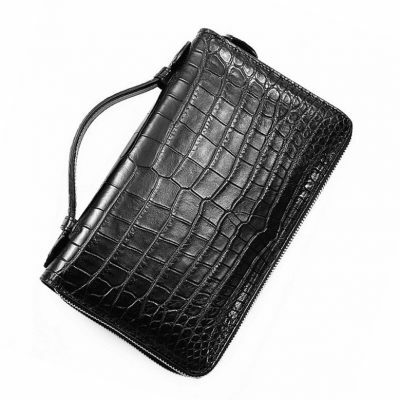 Often the only way to keep up the appearance will be to carry a swanky wallet all around town on a frequent basis. 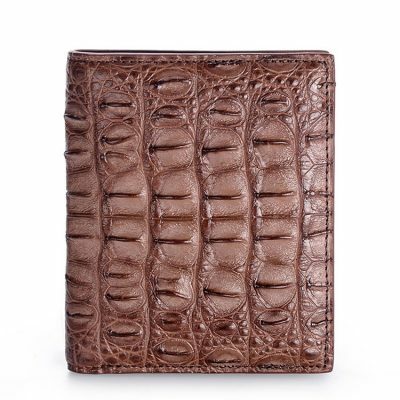 The crocodile skin wallet or alligator skin wallet will show everyone for your excellent taste in fashion. 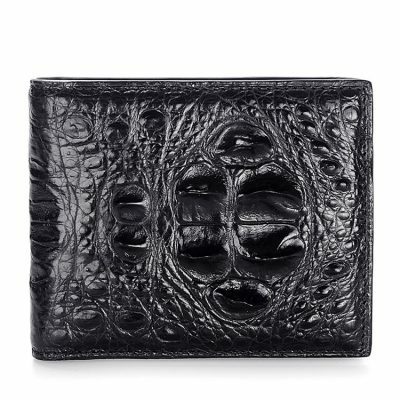 Experience the style and convenience of BRUCEGAO crocodile skin wallet and alligator skin wallet. 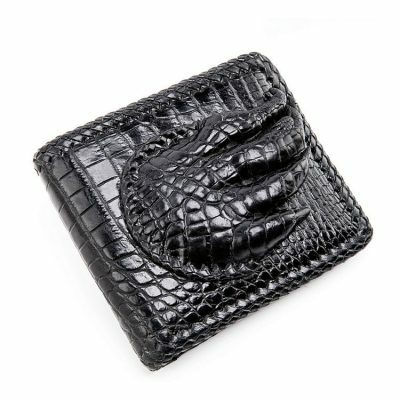 Each wallet from BRUCEGAO is designed in Italy, crafted from the highest quality genuine crocodile and alligator skin. 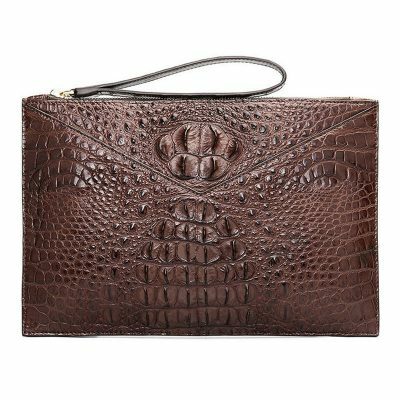 Crocodile wallets and alligator wallets are a pleasure to carry to work, or on the weekend shopping expedition. 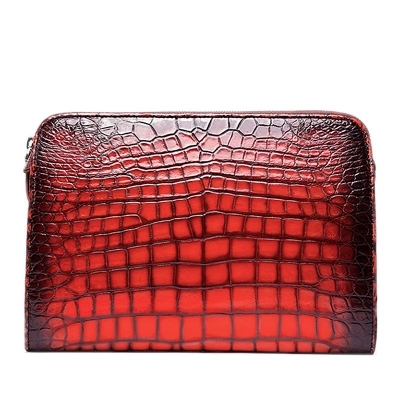 For premium crocodile wallets in an assortment of appealing colors, shop the collection at BRUCEGAO today. 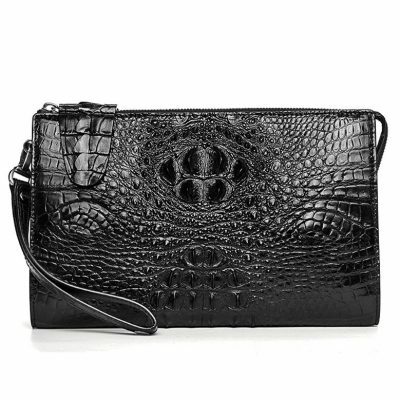 Wallets are very important and as such, it needs to safely hold all the items that you consider critical, be stylish as a sign of your personal style and be practical in comfort, size, and shape. 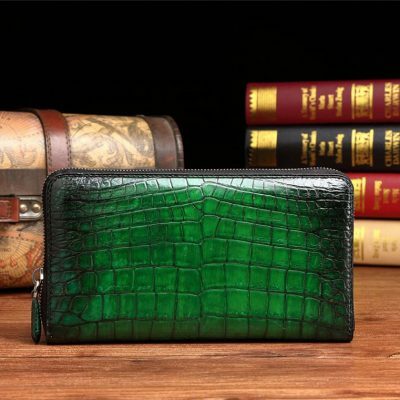 Crocodile and alligator wallets may be expensive, but they have several advantages over other wallets. 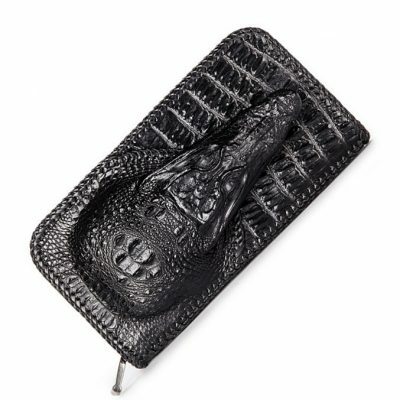 Read this crocodile wallets and alligator wallets buying guide to determine the best option for you. Alligator skin has more symmetrical scale patterns. 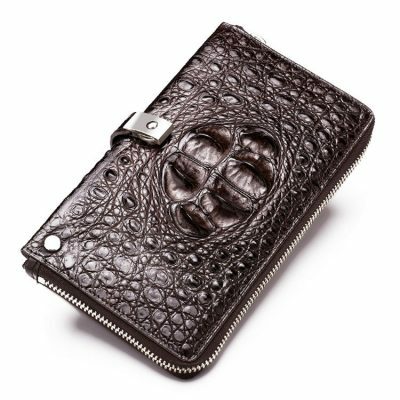 It is softer, smoother and thicker and has a 3D feel compared with the normal crocodile skin. Although rare, high-quality skins from the Australian Saltwater Crocodile and Nile Crocodile are equal or sometimes better than the most excellent alligator skin. The American Alligator is the only one species of alligator. Crocodiles, on the other hand, have a dozen species in different sizes and shapes. The Brown Caiman from South and Central America is the most common. 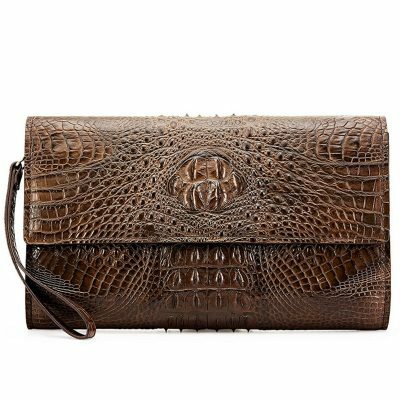 Caiman skin is thinner and often stiffer, less durable and drier than the lesser quality alligator skin due to the less refined tanning process on finished merchandise from South America. Caiman has small pits in its scales. The quality of skin also differs from one animal to another as well as from which part of the body the skin is obtained. 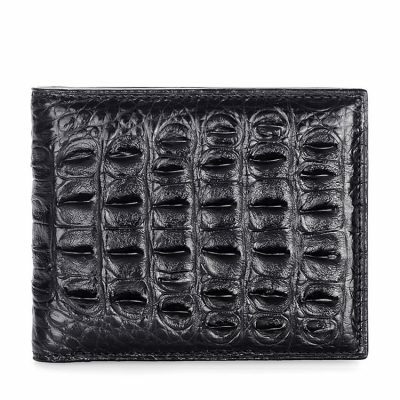 The premium sections for smooth-skinned wallets include the throat and central belly as these are the areas with the largest scales. The most symmetrical is around the belly’s center-line and the scales have a fairly rectangular shape. Skin from the sides can be good quality as it is a little thinner and the scales have a fairly round shape. The tail is the least desirable part as it is stiffer, more heavily scared and has more widely spread out scales. 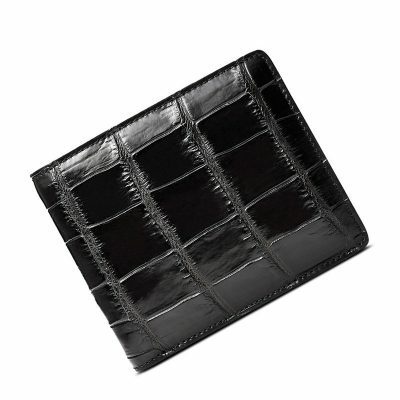 Some parts of the tail are suitable for hidden or internal sections of wallets. Another factor that affects the quality of items is the size of the donor animal. 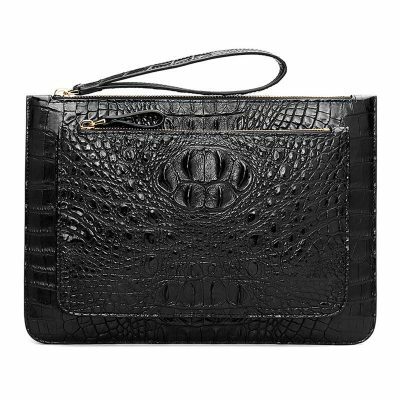 Caiman skins are usually sourced from smaller animals, which are often 3′ to 5′ in length. Nile Crocodile or the normal alligator is usually 6′ to 12′ in length. 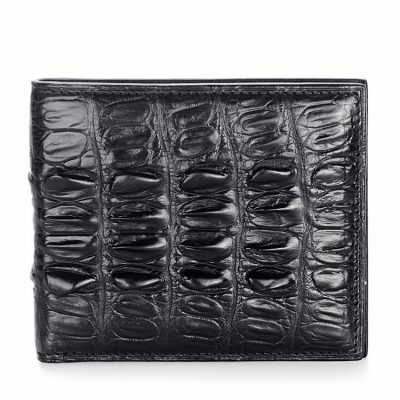 The size and pattern of the scales change quickly over the small expanse of the wallet if the donor animal is small. When this happens, the shape of the crocodile’s tail, head or body is obvious. Depending on the application, this can be a good thing. 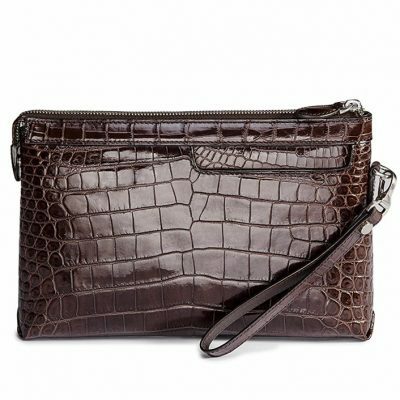 Crocodile and alligator skins vary in colors and in two main types of finishes – Safari or semi-gloss and Classic or high-gloss. Your choice depends on the kind of luxury item and the application. The Safari finish has a modest semi-gloss appearance and extraordinary durability due to low-pressure and low-speed buffing using a mix of natural oils and waxes. 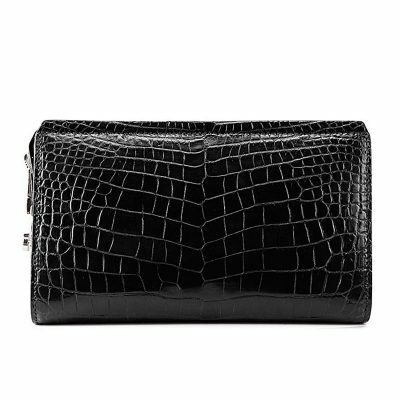 This process retains the minor imperfections and natural scale pattern of the genuine crocodile or genuine alligator skin. 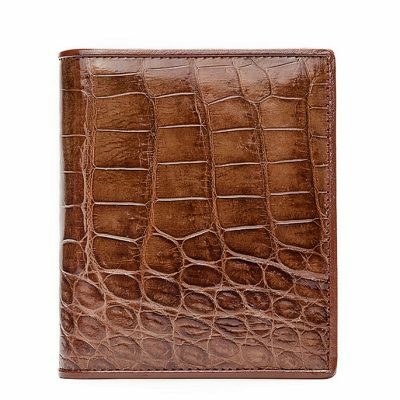 The patina of wallets with a Safari finish get deeper looking as time goes by. The Classic finish boasts a smooth shiny look. A natural protein is polished into the skin under high pressure to achieve this look. The skin is then compressed and refined to a high-gloss sheen using a hard smooth item under the force of a glazing jack. The end result is thin high-gloss skin with firmly spaced scales. While it looks beautiful, the skin is less durable and quite stiff. European manufacturers favor this finish as it expands the skin’s usable portions and conceals visible imperfections. 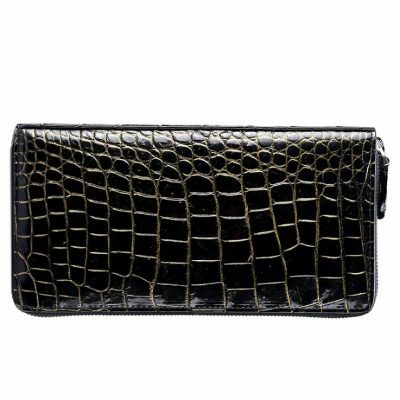 The Classic finish is perfect for flat surfaced luxury products that don’t need a lot of dynamic movements like front-pocket wallets and breast-pocket wallets. 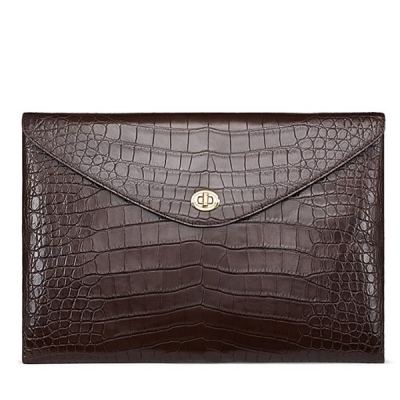 Keep It Dry and Clean: The most superb care for crocodile leather wallet is to just keep it dry and clean. Never use any cleaning products intended for other types of leathers as it will damage the quality of the leathers. 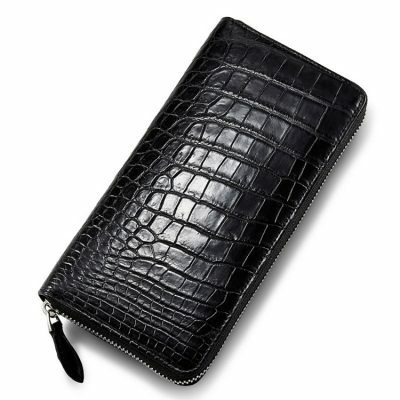 Ideally, you must clean your crocodile or alligator leather wallet every couple of month using a clean damp cloth. Also, you can use a cleaner that is made for this kind of leather. 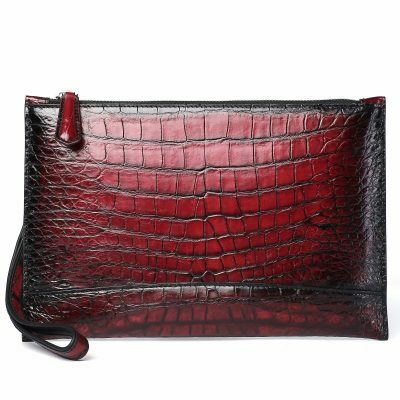 When cleaning is done, it is extremely essential to condition the crocodile leather in order to restore the lost emollient and at the same time to reseal and moisturize the leather. 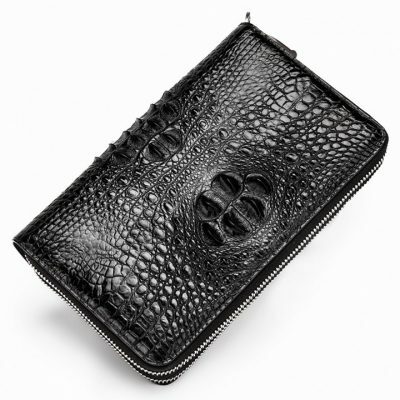 One amazing product that you can use to condition, moisturize as well as research crocodile leather wallet is beeswax. A light coating of beeswax slowly rubbed into your wallet and then evenly buffed off, is what you need in order to protect and preserve the leather. A number of beeswax products might comprise carnauba wax. 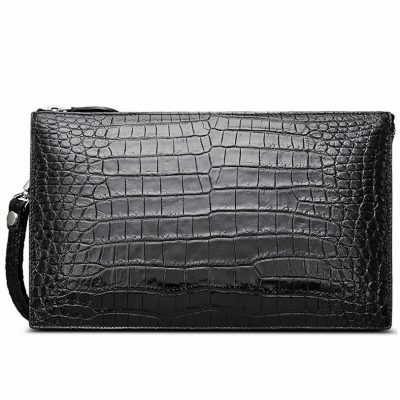 Proper Storage: If you crocodile leather wallet is not in use, it’s essential to keep it dry and cool. 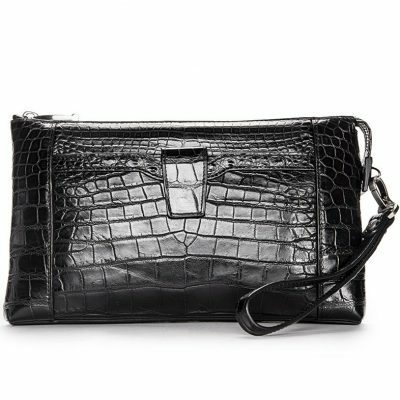 When utilized infrequently, you must take care which the leather wallet is kept in natural unstressed position. Once it’s normally fine to just hang, you may need to store it in a cover bag. 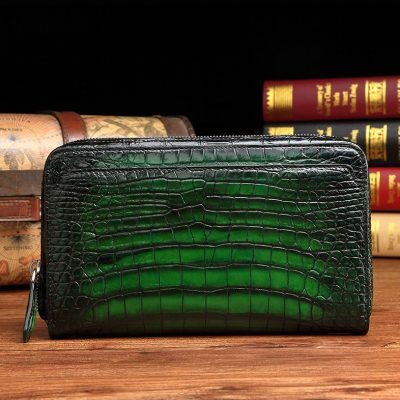 Your crocodile wallet should not overly be stuffed or put below the weight of weighty items. 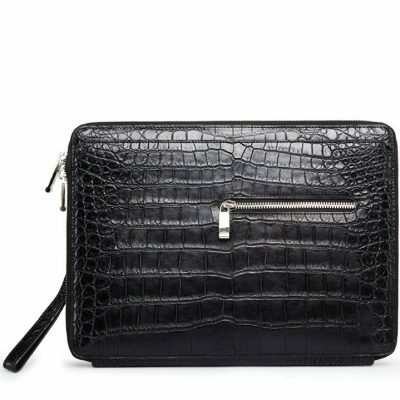 Fixing Damaged Skins: A lot of high-quality crocodile leather could take a remarkable deal of cruelty become really harmed. Beyond marks and scratches to its external surface, harmed skins could become extremely dry as well as stiff. 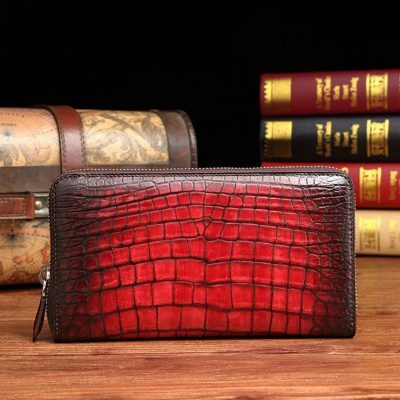 It all depends on the intensity of damage, some tender loving care resealing and moisturizing can really totally restore the looks and appearance of your crocodile leather wallet. For serious cases, radical steps could rescue harmed leather; on the other hand, the threat is significant discoloration. Once the wallet is already dark brown or black the stage of discoloration is restricted, lighter colors skin could become extremely dark often times almost black. Utilize neatsfoot oil and apply it on your hand prior to touching the wallet. Then evenly massage it to your wallet. Keep a cloth handy to regularly dry off too much oil. With a couple of minutes prior to reusing oil, in view of the fact that oil soaks in at diverse rates depending upon the dryness of the leather as well as the pattern of the scale. 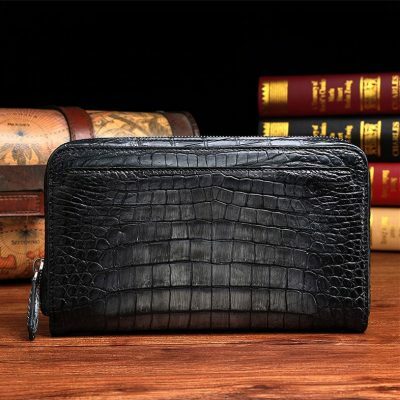 After working the mineral oil into your leather wallet, work it for flexibility. Utilize the towel to totally dry off your wallet and then set aside overnight. Cautiously reapply an extremely light coat of oil to balance out any discoloration, and then totally dry the wallet prior to using. 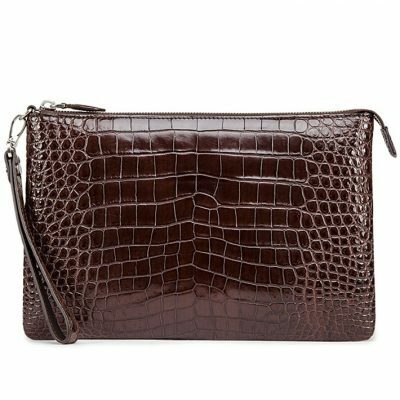 Tags: crocodile wallet, alligator wallet, crocodile wallets, alligator wallets, crocodile skin wallets, crocodile leather wallets, alligator skin wallets, alligator leather wallets, men’s crocodile wallets, men’s alligator wallets, crocodile wallets for men, alligator wallets for men, genuine crocodile wallet, genuine alligator wallet, gator skin wallet, gator wallet, croc wallet, genuine crocodile skin wallets for sale.